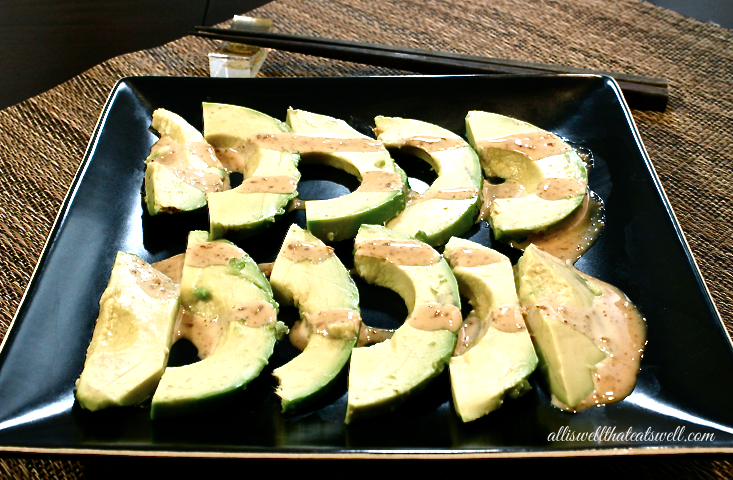 Here is just about the easiest and most delicious snack or appetizer idea for any of you avocado lovers out there! Just take a ripe avocado and slice it up as seen above. Now lightly drizzle a sesame and soy sauce based dressing on top and enjoy this absolutely irresistible treat!